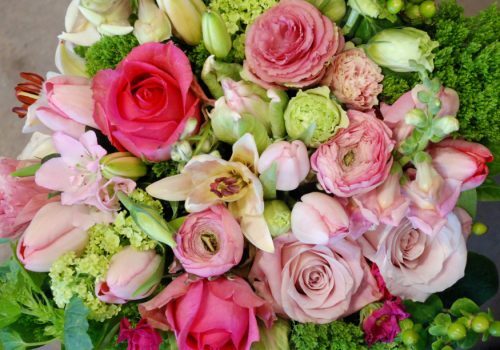 Beautiful blooms and a keepsake vase. Abundant and lovely – nature only slightly tamed in glass or ceramic. 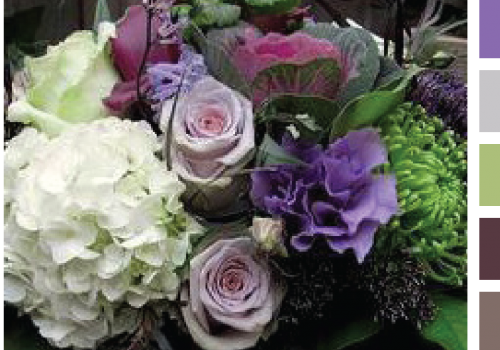 Every arrangement is custom created with the recipient in mind. A class act, this girl is never late, she remembers your mom’s birthday and where you left your keys. Like white, she never goes out of style. 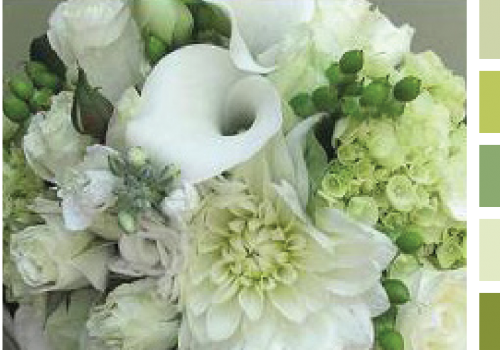 Layers of tone on tone white, pearly fluted calla lilies, fragrant freesia and the icy perfection of white garden roses. Like a sun shower that washes away the heat of summer, this is a grounded girl that cools, soothes and refreshes your soul. 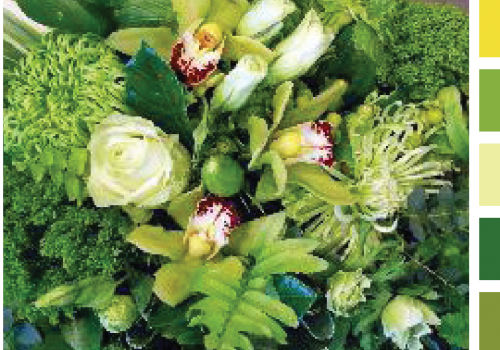 Verdant and vivid, a richly textured tone on tone palette with orchids, fuji mums, fern fronds and bells of Ireland. This girl is your treasure, subtle as silk, soft, gentle as a feather – a magical spirit that enchants with whisper. 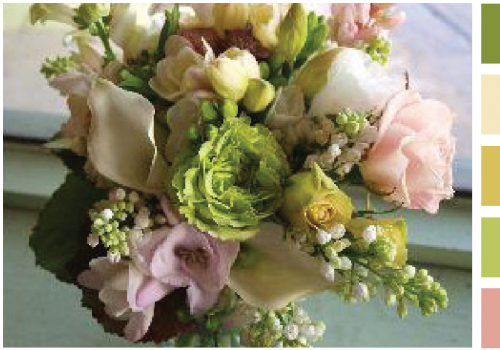 A nosegay of the tenderest pink barely blush and almost white roses, freesia and fragrant lilac. The sun travels with this girl and her smile lights up your world. She’s sweet, with just a hint of citrus zest that keeps it real. 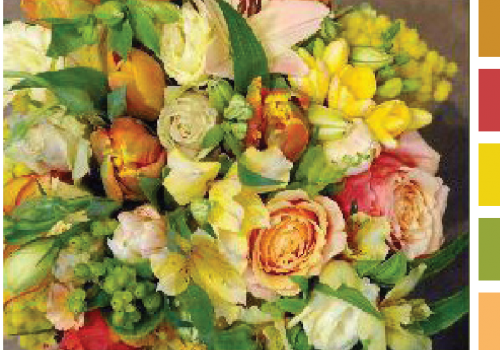 A tumble of tulips, freesia, roses and lilies in sherberty sunshine hues. She glimmers and shines, a butterfly that vividly embodies all that is feminine. 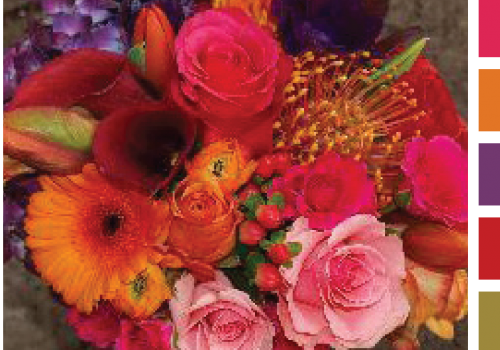 Fruity, luscious and bursting with colour. 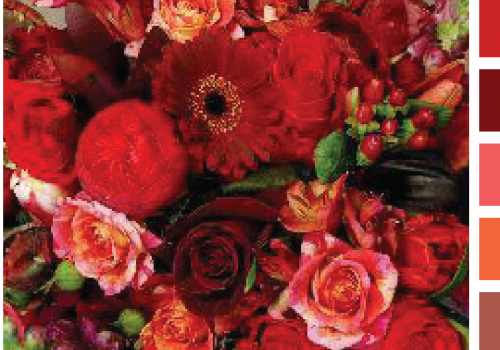 Hot and candy pink roses, tangerine gerbera daisies and deep aubergine anemones. When this girl gives you her heart, it’s quite a package – whether she simmers or sizzles… The fire will not go out! 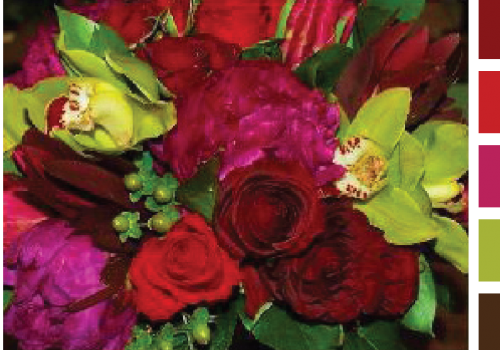 A riot of reds, scarlet parrot tulips, luscious hypericum berries, lipstick red garden roses and velvety, near black calla lilies. Her lipstick is fresh and ruby red. She never has a hair out of place and takes at least three hours to get ready but is so worth waiting for. She is your lodestar, the light that guides you home, elegant and gracious, her beauty is equalled by her strength.Subtle silvery mauve “Ocean Song” roses highlight a tapestry of texture and tone. A free spirit – happiest outdoors, she won’t keep you waiting while she changes her outfit just one more time. 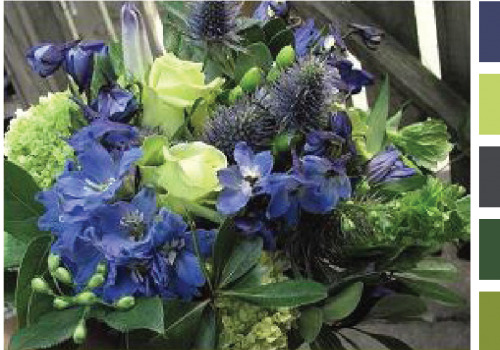 Sky blue delphinium, chartreuse hydrangea and silvery alpine thistles frame luscious white roses. Let our designers work their creative magic!